The Children’s Ministry seeks to serve the church by educating children, equipping parents, and engaging volunteers so that the Kingdom of God might be glorified. For more information about our Children's Ministry, please click the blue button on the right to visit the Christ Covenant Church Children's Ministry website. Welcome to The Garden! The Garden is our Sunday morning ministry here at Christ Covenant. It consists of three different parts: The Flower Bed, The Pond, and The Orchard. Our youngest ones begin their journey in The Flower Bed. The Flower Bed is located in the worship center. Here, loving team members will plant seeds of community as well as church by loving our children well through showing them that church is a place where they will be loved, cared for, and safe. If your child is under the age of two, they will be here in The Flower Bed. The next stop is The Pond! 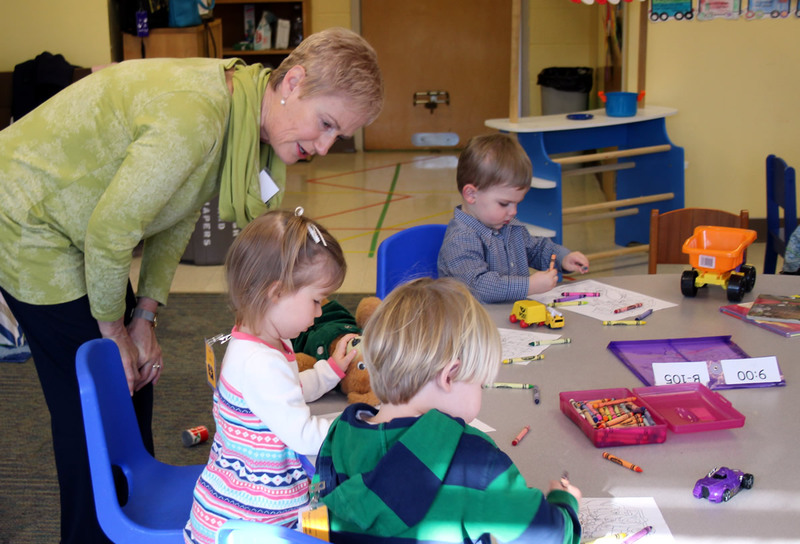 The Pond is in our B Building, and it is a place where preschoolers will learn to explore the world that God has created and their place in it. As they hear stories of the Bible being taught, it is our hope that our children will begin to develop a biblical self-image. This will come through being rooted in the understanding that they are made in God’s image and that their purpose is to bring Him glory, all things taught in their unique curriculum. The Orchard houses our elementary children and is located in the C Building. It is our prayer that our children will grow developmentally and spiritually as they walk away with truths that have been taught to them and they have interacted with in this area. Our ABC Bible Memory class for 4 year olds begins September 9. Each week we will hide God's Word in our hearts as we introduce a new letter of the alphabet and a corresponding verse. The class starts just before the sermon during the evening worship, dismissal will be announced and is in the worship folder. We do hope your little one will join us! Any questions? Contact Amy Wallace, director of Children's Ministries. Please contact Liz McNulty for more information.